Unwanted guests are never fun, especially when you can’t ask them to leave. Luckily, Saint Marys pest control companies have no problem kicking them out. Whether there’s a rodent in your basement or insects in the attic, call your local Saint Marys exterminator to take care of them — do not try to wrangle them out yourself! 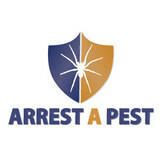 Not sure which type of home pest control service in Saint Marys, KS can tackle your issue? Read profiles and ask about their past experiences to get a good idea. Our company is the #1 bed bug extermination company locally owned and operated in Wichita, and we provide more than 10 years of experience in our service industry. We offer amazing, personal customer service and can guarantee proven results, that require no contracts, and round the clock response to your needs as well as evening or weekend appointments available. Please feel free to ask questions or discuss your concerns and we encourage you to contact us by email or phone. 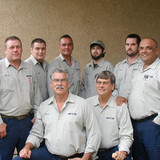 Betts Pest Control was founded in 1971 by Rudy Betts. We have acquired the reputable name you can trust in the Wichita area largely in part because of our employees and Rudy’s standard for quality, ethics and honesty that he instilled in them over the years. These same standards are still practiced by his sons Chad and Craig who have owned and operated the company since his retirement. 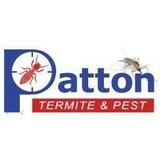 Our company is large enough to handle any pest problem, yet small enough to meet your personal needs. We provide a quality service at a reasonable price. We employ friendly, courteous staff who take pride in their work. Our technicians undergo pre-employment screening, including criminal background, driving and drug testing. They are licensed and certified by the state of Kansas and undergo continuous training to keep abreast of new technology, methods and state certifications. We use only the most modern products and methods to protect your home. We are family-owned and operated in Wichita and surrounding area for over 45 years.